Some artists have the world eating from their hands, with each of their releases universally acclaimed by fans and critics alike. But sometimes we get reminders that they’re only human, sometimes we’re given a blip in their creative output, a song, a feature, perhaps an album that doesn’t sit right with the rest of their discography. 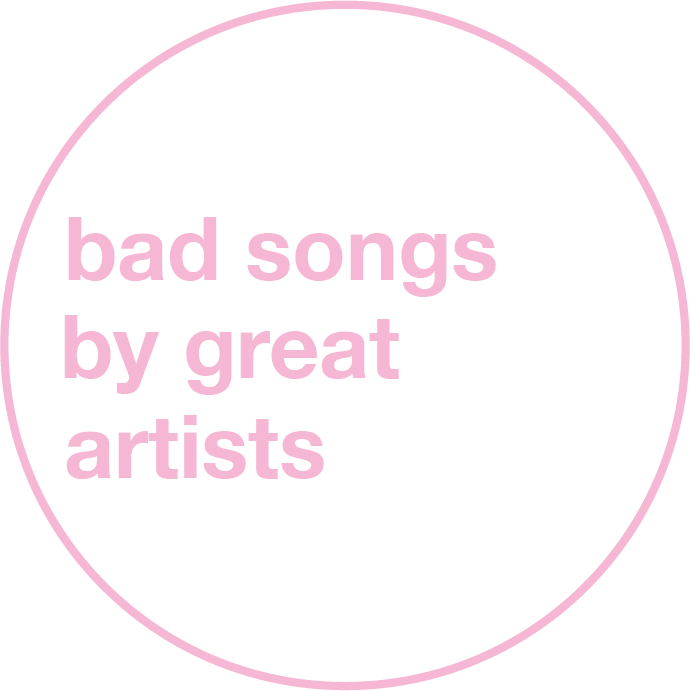 And in a bid to forget the following ever happened, we’ve put together a list of bad songs by a range of great musicians, from Radiohead to Disclosure to Gorillaz to Kanye West. Good Kid Maad City is undoubtedly a classic piece of music, and there’s no real room for argument or discussion. Unfortunately it’s a shade off perfection, mainly due to the Anna Wise-featuring Real, a lazy hook-driven bore, with cringeworthy harmonies and lacklustre lyricism. Following up American Idiot was always going to be a big ask, but Billie Joe and co. did a stellar job with 2009’s 21st Century Breakdown, which really did have some top-class moments. Unfortunately the blunted cries of Know Your Enemy as lead single, weren’t enough to convince the masses. The beauty in Disclosure’s debut was in its nostalgic journey through British electronica, coupled with an array of outstanding guest vocalists. Both of these traits were discarded for the duo’s pristine polished pop follow-up project Caracal, and Jaded was the worst of the bunch. Cherry Bomb was a frustrating listen, nodding and reflecting of the brilliance of Wolf and Goblin, while flirting with the idea of new expansive ideas, ideas which would later find a home on Tyler’s fourth album Flower Boy. And the album’s title track, well, it was just horrific. Really not sure what to say about this song, besides the fact it’s perhaps the worst song the Chems have ever produced, on an otherwise decent LP. Bee sound effects sit next to dainty violins and vocals, futuristic beeps and whistles, a bizarre cosmic bass pattern, which finishes off with an equally confusing ‘guitar solo’ of sorts. The Life of Pablo was a mess, by far the most scattered, unguided release in Kanye’s discography, somewhere between the helms of Twisted Fantasy and 808s, and clouded with the abrasive themes found on Yeezus. Much of the album was forgettable, from FML to 30 Hours to Highlights, but the worst of the bunch- Feedback. And yes, Drunk and Hot Girls is bad as well. Throughout their glittering boundary-pushing career, Radiohead have gone undergone a lot of redevelopments, leaving them with some questionable moments, ones that have both extended their brilliance, and blunted it. The Gloaming is perhaps the band’s worst track, with its glitchy IDM stylings not coinciding with the protest of Hail to the Thief. Massive Attack’s final article has come under question, in reality since Mezzanine, although recent efforts have shown a triumphant return to form. And 2010’s Heligoland was the midpoint of all that- a challenging, somewhat frustrating project, with tracks such as Flat of The Blade doing a good job of nullifying the brilliance. Damon Albarn has had a whirlwind career with his virtual band known as Gorillaz, in doing so enlisting half the music industry to help out in its success, and as has been the case with Humanz and Plastic Beach, less is definitely more when it comes to features. Sweepstakes was the worst track on the former project, and the Mos Def feature had nothing on lead single Stylo. Eminem’s new album really was horrible. It was just so unlistenable, not as it was especially ‘bad’ per se, but because it lacked any kind of substance, and had no connection or relation to the modern-day hip-hop landscape. Tired, overproduced instrumentation, dull lacklustre lyricism and vocal performances, awful guest spots- take your pick which track is the bad one.